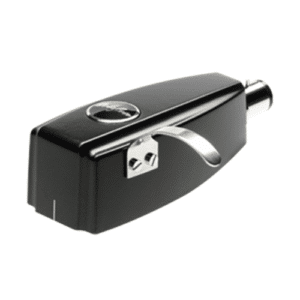 Ortofon’s ST-M25 mono step up transformer, designed specifically for low output SPU mono cartridges. Free UK shipping. 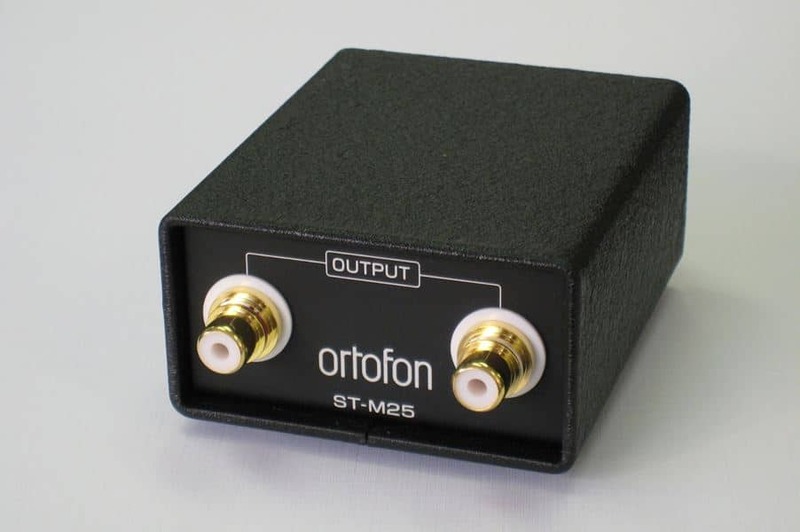 The Ortofon ST-M25 mono moving coil step up transformer is designed exclusively for the SPU Mono CG 25 Di MkII and SPU Mono CG 65 Di MkII. The voltage output of these moving coil cartridges is too low to connect to the Moving Magnet (MM) input of most phono amplifiers. the ST-M25 is designed to increase voltage gain by 12dB to match MM input of the ordinary amplifiers or phone-equalizers. The ST-M25 has one pair of input RCA connectors with a ground post, and one pair of RCA outputs, so it’s really easy to use with any stereo turntable/tonearm and amplifier. You can see the user guide here.